Looking for a way to give your everyday rice an extra oomph in the flavour? 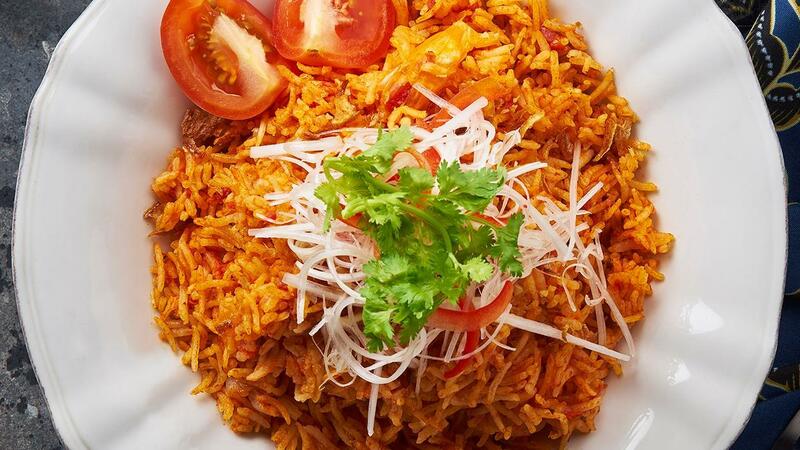 Then try this Tomato Rice by Celebrity Chef Bob that uses Knorr Pronto Tomato and Knorr Chicken Seasoning Powder for a delicious change. Fast, simple and goes well with any gravy-based dish. Place rice in a bowl and rinse it with a few changes of water. Set the rice aside in a rice cooker canister. Heat margarine in a pot over medium-high heat Add in dry spice mix. Saute until the herbs crackle. Add in onion and garlic, and saute for about 5-7 minutes until the onions have wilted. Then, stir in pronto tomato, chicken seasoning powder, and let it cook for 3 minutes until slightly reduced. Remove the tomato sauce from the heat. Stir into the rice with water, evaporated milk, and pepper to taste. Switch on the rice cooker and let it cook thoroughly. Garnish and serve.